Are Almonds Good For Gout Foodies? Are Almonds Good For Gout looks at how almonds can lower uric acid. But, if you do not eat almonds right they can be bad for gout. I wrote Are Almonds Good For Gout for Gout Foodies. That is gout sufferers who want to eat the right foods for their gout. But Gout Foodies don’t have a good gout foundation diet. Because to eat almonds the right way, you need a healthy start. Then you can adjust your eating plan with almonds to lower uric acid. 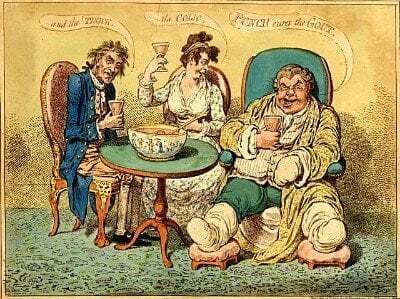 If you do not know which type of gout sufferer you are, start at Questions for Gout Sufferers. But, GoutPal helps all gout sufferers. So if you want personal help without worrying about your Gout Sufferer Type, read on. See Are Almonds Good For Gout key points. The good news is, generally speaking, almonds are good for gout sufferers. But, almonds should only be a small part of your daily food intake. So too much of a good thing can be bad for your gout. In a recent study of almonds and uric acid, 10g almonds per day can significantly lower uric acid. But 10g is only 1/3 oz or 1/8 cup. So, that’s just 8 almonds per day. Although, as I explain in that review, we do not yet have any studies that tell gout sufferers the best way to eat almonds. So, a few more could be beneficial. However, almonds contain over 160 calories per ounce. Therefore, you have to balance the benefits of almonds with gout risks of excess weight. As you can see from my review, you have to work out how to add almonds to your gout diet. Because we know that a few almonds per day can lower uric acid. But your diet must be basically healthy to avoid making your gout worse from excess calories. So, the best way to eat almonds is to start with a good Gout Foundation Diet. Then, you can start replacing some calories with a few almonds a day. Remember, if you change your diet to try to stop gout, you must get uric acid tested. So, make sure you test uric acid first. Then eat 8 almonds per day for a month. Next, repeat your uric acid blood test and compare results. After that, you can experiment with increased numbers of almonds per day, so long as you do not exceed your calorie needs. Many Gout Foodies ask about almond milk and gout. 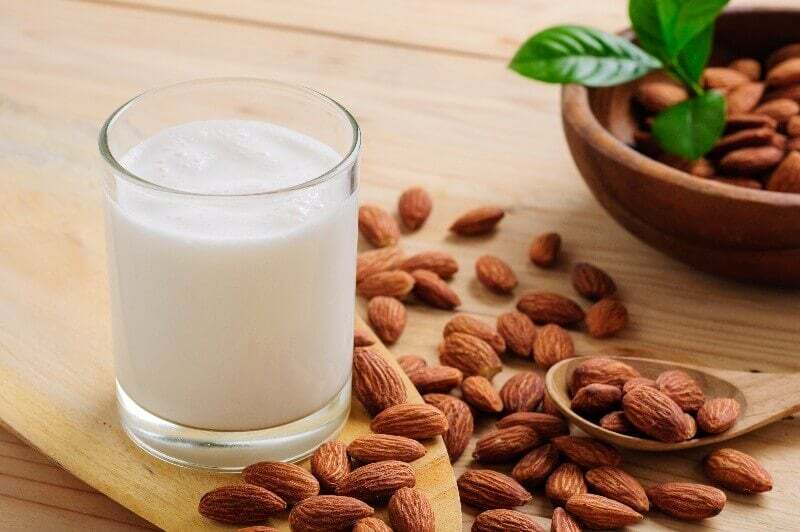 Unfortunately, there is no research about the effects of almond milk on uric acid. So we cannot assume that almond milk is good for gout. But, as almond milk contains many of the same nutrients, should it help gout? What are the active ingredients of almonds that reduce uric acid? Which almond products contain most of those ingredients? Does processing almonds make active ingredients less effective? I do not know any further research that will help you decide if almond milk is good for gout. But, it seems likely that it could be, though this might vary from one person to the next. So, you should treat almond milk in the same way as whole almond nuts. As I described above, test, try, then test again. Almonds Or Almond Milk For Gout? Are Almonds Good For Your Gout? Now that you know almonds are good for gout, you have to find the best way to eat them. Because merely adding them to a bad diet will not work. So wait until you get your diet under control. Then look at the calories you eat in the nuts section of your gout foundation diet. Next, start changing some of your nuts for almonds. But always make sure you test your uric acid before changing how you eat almonds. A few almonds help your gout. But too many nuts make gout worse. Do you understand how to add almonds to your gout diet? If not, get personal help with your gout diet now. Jamshed, Humaira, Fateh Ali Tipoo Sultan, Faridah Amin, Jamshed Arslan, Sumaira Ghani, and Madiha Masroor. “Almond supplementation reduces serum uric acid in coronary artery disease patients: a randomized controlled trial.” Nutrition journal 15, no. 1 (2016): 77. Grundy, Myriam Marie?Louise, Karen Lapsley, and Peter Rory Ellis. “A review of the impact of processing on nutrient bioaccessibility and digestion of almonds.” International journal of food science & technology (2016). Almond Nutrition and Processing PDF. TL;DR - Are Almonds Good For Gout Foodies? This information is most useful to Gout Foodies. A few almonds are good for gout. Too many calories from nuts make gout worse. Need more help? Then get personal gout diet help from GoutPal.